» NWF, AAR 11/02/13, Veterans Day Ceremony at the Panama City Library Warriors' Watch Riders: WE HAVE YOUR BACKS AT HOME! On November 2,2013 the WWR was asked to attend and stand a flag line at the 4th annual Veterans day Memorial at the Panama City Library. There was displays of vintage uniforms, firearms, and vehicles for all to enjoy. MG. Mark McQueen was the guest speaker. 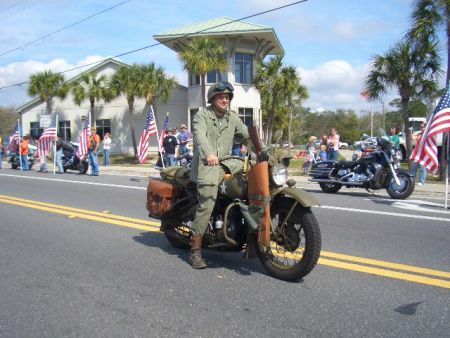 No user commented in " NWF, AAR 11/02/13, Veterans Day Ceremony at the Panama City Library "